Theme: Idiopathic Scoliosis- what and where is it? You are invited to participate in an Advanced Training on the Theme: Idiopathic Scoliosis – what and where is it? People are tagged with “scoliosis” and carry it throughout their lives sometimes with a sense of shame or guilt sometimes without understanding the phenomena completely. Most people suffer from it, few require medical intervention. When and how can the FM help those who suffer from the aesthetic side, pain& uncomfortable sensation? With the help of Moshe Feldenkrais & Yochanan Rywerant this Advanced training will try to deal with these questions. Both in ATM and FI. 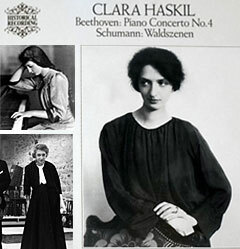 Clara Haskil, the famous pianist was Yochanan’s favorite example of a person with Scoliosis. Starts on Friday 14:00, ends by Sunday 16:00 . 50 CHF registration fee& prepayment which will be returned if the advanced is cancelled by me and will not be returned if participation cancelled, 370 cash on the first day. private FI on demand – 100 CHF. Language: English. Although I do speak German.